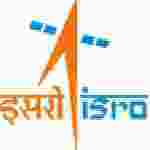 Kerala ISRO recruitment Engineer 2016-17 notification 17 posts : Indian Space Research Organization (ISRO), Space Application center SAC, welcomes application for the position of 17 scientist / engineer.Candidates who completed their ME, M.Tech, BE, B.Tech, M.Sc. is a good opportunity.The individuals who are the occupation seekers searching for govt employments in Tamil Nadu Kerala this is the best chance to apply. Competitors read the official notification then read all the guidelines and miners precisely then apply before the last date online application got. All the interested and eligible candidates can apply before 4th July 2016 online before 11th July 2016. Govt jobs for ME, M.Tech, BE, B.Tech, M.Sc. Educational Qualification for the Job: ME, M.Tech, BE, B.Tech, M.Sc. Dead Line date to apply: 11th July 2016. Candidates Age Limit: The age of the candidate should not be less than 18 years and should not be more than 32 years. The age of the applicant should be as on 11th July 2016. Academic qualification details: Candidates must possess ME / M.Tech. or equivalent in relevant engineering in first class an aggregate minimum of 60% marks (Average of all semesters) or CGPA / CPI grading of a minimum of 6.5 on a 10 scale or equivalent and BE / B.Tech or equivalent qualification in electronics and communication engineering in first class with an aggregate minimum of 65% marks (average of all semesters for which result are available) or CGPA / CPI grading of 6.84 on a 10 scale or equivalent or M.Sc. in chemistry (General chemistry / analytical chemistry / applied chemistry) in first class with an aggregate minimum of 65% ,arks (Average of all semesters) or CGPA / CPI grading of a minimum of 6.84 on a scale or equivalent. Official website: All the interested and eligible candidates can apply Online through the official website www.isro.gov.in from 27th June 2016 to 11th July 2016. Process of applying for the job: All the interested and eligible candidates can send the confirmatory copy of the online application along with self-attested copies of all testimonials in proof of educational qualification / experience / age / disability certificate etc. to senior administrative officer, recruitment and review section, Vikram sarabhai space Centre, Thiruvananthapuram:- 695022 on or before 18th July 2016. Important Dates: All the interested and eligible candidates can apply before 4th July 2016 online before 11th July 2016 and send the confirmatory copy of the online application on or before 18th July 2016.